Went for a tour of the city which means hire a guide and a car like the other cities in this region, there are no group guided tours probably because there are no tourists. Its set in the middle of the mountains at 1000m so there are a lot of narrow, steep, winding streets. The old town is all one lane, one way streets and is clogged with traffic, a permanent traffic jam, Business, Banks and Embassies are all located in the area I am staying in away from the old town, there is no poverty in this area and there are also no Police, maybe thats why people are afraid to walk on the streets, in all the other countries Police and Military are everywhere. The hotel website does not have a map of its location so I made one up and sent it to them to add to their website and they gave me a free nights stay, Thank You Senora, I spent all day in bed. This entry was posted in Honduras and tagged Suzuki DL650 Vstrom. Bookmark the permalink. 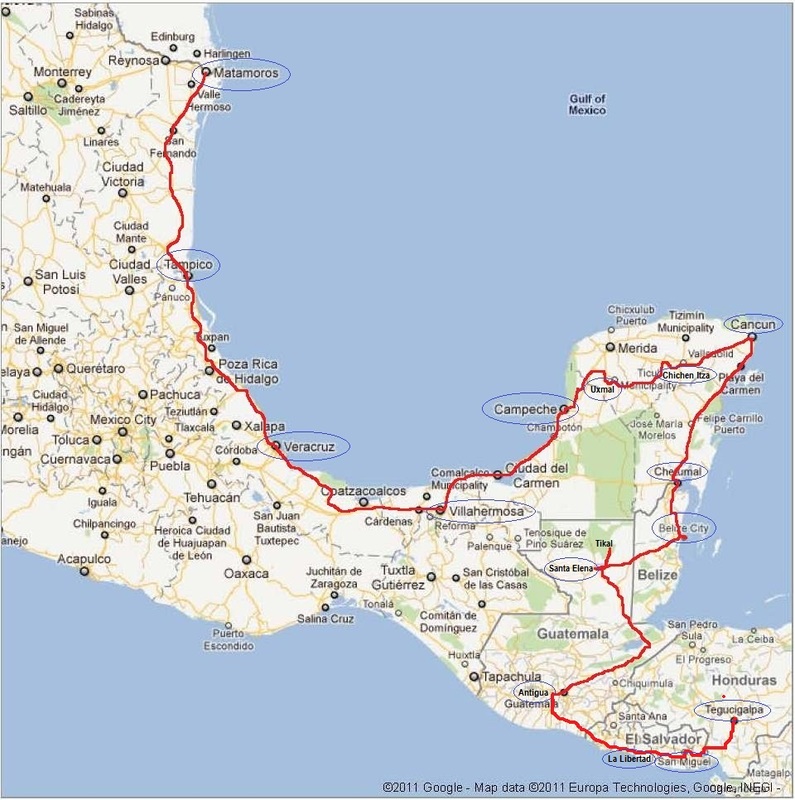 Love the map– amazing coastline ride you’re making. Love the sights, the beer, and of course, the Belgian chocolate icecream!